Indian fashion is popular all over the world. Not only Indians but other Asians, Europeans, and many societies have Indian people loving eastern cultures and traditions. Other than Sarees dressing in salwar kameez with dupattas is mostly preferred by ladies moving there. Talking about the Punjabi suits, they are the traditional dress for all Punjabi out there in Asian countries like in India, Pakistan, and Bangladesh. Punjabi Suits consists of Patiala Salwar Kameez that includes a wide dhoti type Patiala shalwar and a medium length or short shirt. 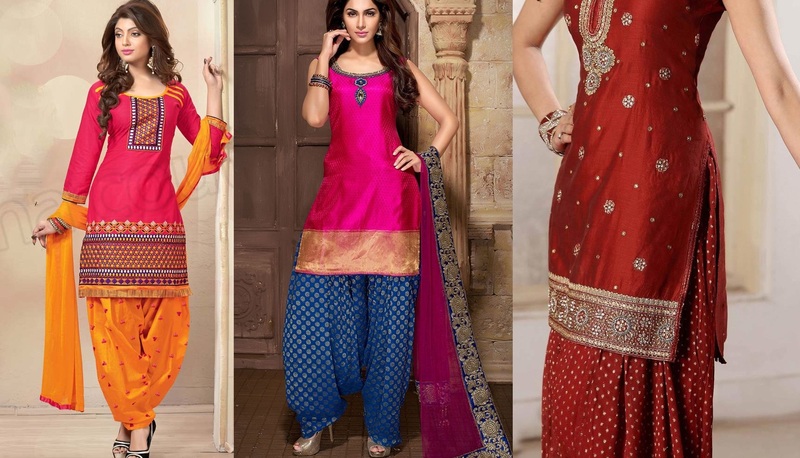 Other salwar kameez like churidars, Anarkalis, kalidars are also well like by Punjabi ladies, but Punjabi Suits Latest Indian Patiala Salwar Kameez are more preferred. They are so easy and comfy to catch along with matching dupattas. 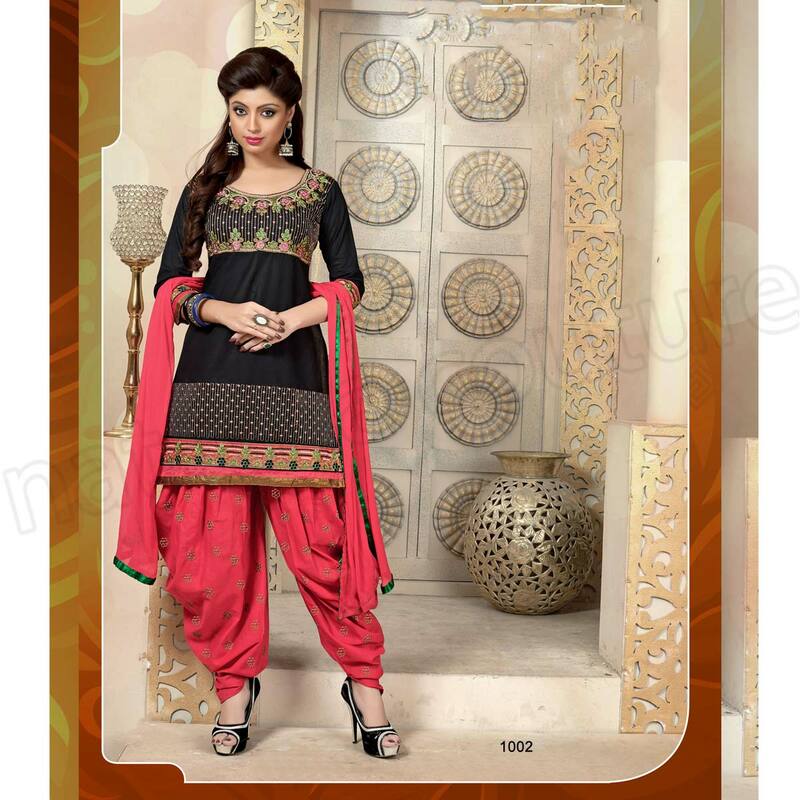 Many Indian designer and fashion brands are showcasing their Punjabi Suits Latest Indian Patiala Salwar Kameez with different styles and designs. Every year they style may be updated, but their taste will remain the same. Sometimes short shirts have seen, and sometimes medium length is chosen. Indian weddings include these suits to wear on Mehandi functions. Girls wear fancy Punjabi suits also carry paraanda and maals at different events like Devali, Holi, Wedding, etc., that look so desi at events and occasions. Some shirts are made up of abstract arts, floral prints, and paint arts. They look so stylish and appealing for teenage college going, girls. Here we are discussing the Latest Punjabi Suits Latest Indian Patiala Salwar Kameez. The assortment features formal and casual wear dresses in wonderful prints and designs. The fabrics include Georgette, Chiffon, Linen, Cotton, Lawn, Crinkle, Malai, Jamavar etc. Formal Punjabi suits come with embroidered shirts with embellished necklines and dyed shalwars along with well-adorned dupattas. Many Bollywood Divas like Kareena Kapoor, Anushka Sharma, Aishwarya Rai, etc. have worn Patiala salwar kameez in different movies. India’s most popular Film “Jab We Met” also includes the fine desi look of Kareena Kapoor wearing the Punjabi dress by famous designers. Manish Malhotra is very famous for designing the Indian Celebrities costumes. Designers have launched many Punjabi dress collections consisting of hottest trends of fancy Patiala salwar kameez having different embroidery works like dabka, zari, motif, sequins, etc. The casual suits consist of plain shirts having simple necklines with printed shalwars. You can set them for your daily routines as they are so easy to wear. Here below we have posted some of the designs from this assortment. You can shop them at many Asian clothing online stores like Daraz.Pk, CBAZAAR, Natasha Couture, etc. I hope you will fall in love with them after viewing the image gallery. Bring your Desi Punjabi lookout by wearing these trendy dresses.